An estimated 6.8 Billion Dollars in unused gift cards expires each year in America alone. Get Gift Card Savvy and learn how to make the most of your gift cards! Gift Cards have become one of the most popular presents in the US and are now spreading through other countries, too. Gift Cards allow people to buy something special, while still avoiding the problems of bad-choice gifts and allowing the recipient freedom to choose the right gift for them. Of course, buying and using a gift card isn't always as simple as it seems. Problems with unloaded, expired and unusable gift cards can cause major headaches. The following information should help you find what options you have available. Always keep your receipt in case there are any issues with the card working. Check where the card can be used before purchasing - some might be limited to your state or town. Always check the expiration date. Always use your card at least a week before the expiration, to avoid losing any funds on the card. Gift cards an easy option. A gift card is similar to an Eftpos card, except that, unlike having your own card that is linked to a credit or debit bank account, you can only load a gift card with money once. 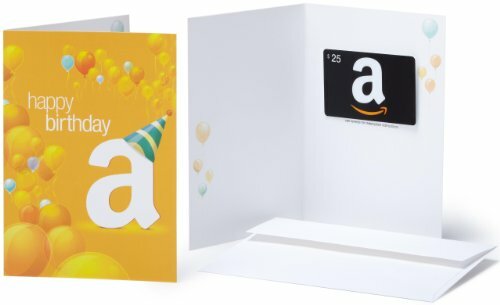 Most gift cards need to be loaded with money (or activated) in the store you're purchasing them from. Most gift cards can be used multiple times, until you've used all the funds on the card. For instance, you an use a $20 gift card to purchase a $5 and $10 item, but if you wish to use it on a $25 item, you'll need to pay the difference between the amount on the card and the amount on the item. The majority of store gift cards (such as Target & Walmart) have expiration dates that can vary anywhere from one to five years. Most bank linked gift cards (such as Visa and Amex) don't have an expiration date. It's important that you use any gift card you receive by the expiration date. If you are even one day late in using the card, it will be invalid and worthless. Since the majority of gift cards are not run directly through stores or banks but gift card companies, there is no way to claim any unused funds back after the expiration date. Some gift cards come with a small grace period. 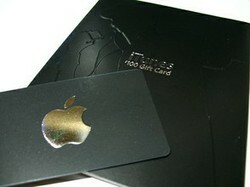 These often vary between stores and gift card companies and many gift cards do not have them. However it's always a good idea to check if you have a recently expired gift card. A grace period is usually a time between 2-6 weeks after the expiry date on the card, during which the card can still be used. Usually when you purchase a gift card, you'll need to have the card loaded or activated by a store person. Sometimes, due to either cashier error or card error, the card may not be loaded with the amount you requested, or not loaded at all. In this case, you need to go back to the store and if possible take your receipt with you. In many stores, if you don't have your receipt, the company may refuse to replace or refund the gift card. It's always important to check where gift cards can be used. Many cards are limited to certain areas, ranging from a particular town or shopping centre through to only a certain country. If you're planning to buy a gift card for a friend in another area or country, it's a good idea to check that the retailer has outlets in that area, and that the gift card you buy can be used at that store. Load the money onto a new gift card. Manually transfer the money if you are buying an item. When you complete a purchase, some eftpos machines will show the remaining funds on the card. If you ask at the store associated with the card, they may be able to check on their computer. Many gift cards have a phone number on the back which you can call to check information such as the expiry date or balance. Many gift cards will have a web address on the back which you can use in conjunction with the card's pin number to check the balance online. When Choosing a Gift Card, What Is More Important to You? It's all about the giftee - if they will like it and can use it easily. I purposely get gift cards at stores the recipient likes. After all, it is all about the person who is getting the gift card, not me. What are some great gift ideas for women who are NOT mothers? There are lots of great items for women who are childless or childfree.